My daughter was three years old when the doctor told me I only had a few months to live. My symptoms had been concerning—difficulty breathing, extreme tightness in my chest. That’s why I went to the doctor. But never in my wildest imaginings did I expect the diagnosis I received. Fibrosis of the lungs—sometimes it develops slowly; but it can also, as in my case, come on fast and furious. I was living in America; my parents were thousands of miles away in India. I had nowhere to turn. In a state of helpless, uncomprehending grief I collapsed on my bed. My mother had given me a copy of Autobiography of a Yogi. Now it was sitting on my bedside table. 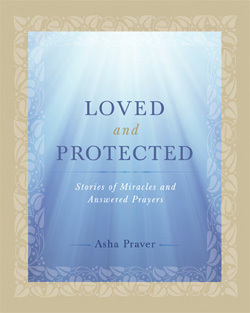 I picked up the book and placed it on my chest as a way to be closer to God and also to my mother. I have no clear memory of the next three days, which I spent mostly in bed with the book on my chest, crying to God for help. Somewhere in my shock and delirium the image came to my mind of my lungs growing into a large, open hole. Then the gurus—Yogananda and all the others to whom I had ever prayed—one by one entered this opening and began to sweep the fibrosis out of my lungs. Eventually I began to feel better. Much better. I got up from bed and went back to the doctor. Only a few days had passed since he had pronounced my case hopeless. The doctor was astonished. The only word he could use was “miracle.” The disease was gone. That was three years ago. The only treatment I have taken since is to practice breathing exercises. I am hale and hearty, without a trace of the fibrosis that at one time threatened to leave my young daughter without a mother.